Known as more of a football conference historically, the Big Ten just might be the best basketball conference in the country this year. The Big Ten led the nation in attendence last year for an astounding 34th consecutive season, averaging more than 12,500 fans per game. The conference has drawn more than 2 million fans every season since 1991-92. The SEC was a distant second with an average attendence of 11,770. Last year, the Big Ten won the ACC/Big Ten Challenge for the first time in the 11-year history of the event. This year’s schedule is headlined by the marquee matchups of Michigan State at Duke, UNC at Illinois, and Ohio State at Florida State. The only new coach in the conference is Iowa’s Fran McCaffery (proud alumnus of LaSalle High School in North Philly). McCaffery, coming off five stellar seasons at Siena, will try to lead his 4th separate program to the NCAA Tournament. Along with Siean in each of the past three seasons, McCaffery also went to the Big Dance with UNC-Greensboro in 2001 and Lehigh in 1988 (the #16-seed that lost to the #1 overall seeded Temple Owls). This is more of a what the national perception is, by calling them the favorite. As you can see above, I picked Ohio State as the best team in this conference, but I think most people, coming into the season, would have pegged Michigan State as the favorite to win the best conference in basketball. And, they are loaded, with the best coach in the country guiding this ship. While, somehow, Blue Ribbon didn’t pick senior point guard Kalin Lucas as the player of the year (in fact, he wasn’t even on Blue Ribbon’s first-team all-Big Ten), I actually believe that Lucas is the best player in the conference. He won the award two years ago, as a sophomore, and didn’t win it last year because of injuries. If he is healthy (which, admittedly, is a significant “if”), then Michigan State has the best player in the conference, and maybe even the best player in the nation. If Lucas does miss time or starts slow, Sparty can just turn to the guy they turned to last year in the most important of times, Korie Lucious, who filled in for an injured Lucas to lead the Spartans to an unlikely Final Four. Lucious is back for his sophomore season, and both guys are absolute jets up and down the court. The other starting guard will most likely be 6’4″ senior, Darrell Summers. Summers had an up-and-down junior season, but came up huge in the NCAA tournament, averaging close to 20 ppg. Summers is an excellent perimeter defender and a very good rebounder from the guard position. As you can see with a starting backcourt of two seniors, not only is Michigan State talented, but they’re also experienced. The frontcourt is no different, as they should start 2 more juniors at forward. And, not only are these two forwards experienced, but they’re big and very, very skilled. 6’8″ small forward Delvon Roe is really big for a small forward and can easily slide to the 4, if Izzo wants to run small. Roe is very skilled and a fantastic defender. The other forward is 6’6″, 230-pound Draymond Green. And, it’s hard to say the “other forward” because there is a really good chance, even as good as Lucas, Roe, and Summers are, that this team will revolve around Draymond Green. He is truly a do-it-all kind of a player. He has the junkyard dog kind of mentality, but he couples it with incredible skills. He’s 6’6″, 230 pounds, but can put the ball of the floor like a guard. He is also a phenomenal passer, as indicated by his 112 assists last year (third on the team, only 19 fewer than starting point guard, Lucas, and 6 fewer than backup point guard, Lucious). But, he is also a tenacious rebounder and interior defender, who could play the 5, if needed. He runs the floor well and should enable the Spartans to get out in transition a lot this year. Obviously, this team will start Lucas, Summers, Roe, and Green, but the fifth spot could be anyone. On some nights, Izzo might decide to go really small and run out two point guards and start Lucious. Most nights, however, he will probably go conventional for most of the game, and that works because he has a trio of very good bigs that could fill that center position. The most likely is 6’9″ sophomore, Derrick Nix. Nix has dropped 60 pounds since arriving on campus at an incredible 340 pounds. But, along with the weight, Nix brought with him some serious talent and should probably be the starting center by the time it really matters. Another option is another big sophomore, Garrick Sherman. Sherman is more of a solid, space-eater kind of guy, which might work well, considering the Spartans probably won’t need a lot of scoring from this spot. The really intriguing option, however, is 6’10” freshman, Adreian Payne. Payne was rated as the #3 center in this freshman class and the #20 overall prospect. In fact, Tom Izzo was quoted as saying that Payne is “the most athletic big man we’ve ever had.” Payne was supposed to be a one-and-done guy, but he got hurt early in the summer and has had to rehab ever since, so he might not be ready to make that jump, which may not be good news in the short-run for Michigan St., but is very good in the long run, if they get an extra year out of him. Are They Better Than Last Year? I would say that, yes, they are better than they were last year. I know that last year’s team made the Final Four, but they weren’t nearly that dominant in the regular season. This year, they could stay in the top five or ten all year long. That being said, they do have some replacing to do. Chris Allen ended his tumultuous Michigan State career by finally being dismissed by Izzo and ending up as a transfer to Iowa St. While Izzo had bigs plans for Allen this year, he is replaceable. One guy who might not be so easy to replace is Raymar Morgan. Morgan may be the most underappreciated player I’ve ever seen in college hoops, and I don’t know why. Ask any Michigan State fan how they feel about him and they will say something disparaging in some way. But, every time I watched the guy play, he just seemed like he was something special. He understood the game and played it with an unlikely combination of finesse and power on both ends of the floor. I think Morgan is a tough guy to replace. But, all in all, with a healthy Lucas, this is definitely a better version of the Michigan State team of a year ago. Replacing Allen? They knew that they were going to have to replace Morgan because he was a senior. They did not know that they’d have to find someone to take the place of Allen so soon. And, what they’ve lost is a really terrifying outside shoter. Lucas is a good shooter, and Appling might light it up, but Allen was feared. Health? Lucas, mainly. If he’s healthy, a lot of questions surrounding this team will be answered. If not, who knows where they’ll end up. There are also pretty serious health concerns surround Delvon Roe and, to a lesser degree, Draymond Green. In tact, this is a great team, but in pieces, they will have to speed up the development of guys like Appling and Payne. No doubt this team can win the National Championship. Will they? Well, that depends on many things, not the least of which is health. But, they have the talent, the experience, and the coach to cut down the nets. My Favorite – Ohio St.
Evan Turner is wearing a Sixers uniform, but the Buckeyes are loaded with young and old and may be able to surprise every again with another Big Ten title and long NCAA tournament run. The Buckeyes have the always great college combination of veteran leadership and young, elite talent. They also have go-to scorers on the perimeter and in the post, and, arguably, the best defender in the country, in fifth-year senior, David Lighty. This is a pretty nice recipe for success. Their backcourt is well stocked with returning players other than Lighty, including dead-eye shooter (and all-time leading scorer in the history of Ohio basketball) Jon Deibler and super-scorer William Buford. With those two, the Buckeyes will have no problem scoring on the wing. And, they should have no problem scoring in the post, either, with the addition of super-frosh, Jared Sullinger. Sullinger, the co-MVP of the 2010 McDonald’s All-American game may push Kyrie Irving and Harrison Barnes in the freshman of the year race. Starting alongside Sullinger down low is another veteran in massive power forward Dallas Lauderdale. The Buckeyes have size and strength to go along with their veteran leadership and scoring ability. And, Sullinger is not the only piece to the incoming class that should make waves. In fact, Thad Matta, over the past 4-5 years, may have established himself as the best recruiter in the college basketball. Along with Sullinger, the prize of the class, are some “other pieces” that would be the prizes of 99% of D-I programs. DeShaun Thomas scored 3,018 points in his high school career, ranking him 3rd on the all-time scoring list in the state of Indiana – not exactly a state devoid of talent. In fact, Thomas was chosen as one of 26 players on the Indiana State All-Century team, alongside guys like Larry Bird and Oscar Robertson. Matta also landed a possible star point guard in local product, Aaron Craft. Craft, also a star quarterback and valedictorian of his high school class, may just start right away for this team at the point. They also added another top 40 guy in Jordan Sibert, who has been compared favorably to Buford and should step right in for him when he needs a breather. On the surface, it’s hard to imagine that they could be better without the national player of the year, but I think they are. Turner may have had the best single season in the history of Ohio State basketball, but the rest of the team is all back, including some very experienced players (remember, Lighty was a key player on the Oden-Conley team that lost to Florida in the national championship game in 2007), and, more importantly, Thad Matta has brought in a ton of freshman talent with all sorts of complementing skill sets, including a flat-out stud in Sullinger. The Meshing of Old and New? Obviously, there is something to be said for supreme freshman talent (a Top 5 guy, a Top 10 guy, a Top 25 guy, and a Top 40 guy) wanting to play and play immediately. With the exception of Sullinger and maybe Craft, there isn’t really room for starting spots with the return of Lighty, Diebler, and Buford (and even Lauderdale), so will guys like Thomas and Sibert be effective off the bench? Defense? Not usually a question mark for OSU and it’s surprising that it would be here because they have, in my opinion, the best all-around defender in the country, in Lighty, but the rest of the team, with the exception of Lauderdale, is either a little deficient or green or both on the defensive end. I don’t think this is a huge concern because Matta teaches defense, but something to keep an eye on. I agree with Doogan’s thoughts here, in that this team definitely has Final Four potential, and I even think that they have a legitimate shot to win the whole thing. They are balanced, experienced, well-coached, and most of all, supremely talented. You might not know this, but Illinois hasn’t won an NCAA tournament game since 2006 – their longest drought in 30 years. That will most likely change this year, as this team is loaded. The Illini have all five starters returning and back-to-back stellar recruiting classes. The program is on the rise. And, there are plenty of good-to-great players and potential stars on this team, but there is one guy that rules the roost in Champaign, and that is 6’3″ senior point guard, Demetri McCamey. McCamey is a bonafied superstar who has an outside shot at Big Ten Player of the Year this year. Averaging over 15 ppg last year, he also dished out more than 7 assists per game. This is the year of McCamey in Champaign, and he seems ready to take it on. Back in the starting lineup beside McCamey are backcourt mate, D.J. Richardson, and two frontcourt seniors, Mike Davis and Mike Tisdale. Richardson, last year’s Big Ten Freshman of the Year, is a lightning-quick slasher with a very good outside shot to keep defenders honest. But, his real strength is on the defensive end, where he is a complete shut-down perimeter defender. Davis added 20 pounds of muscle this offseason and is always ready to do the dirty work. Tisdale is a soft, almost European-esque player, but is very skilled and stands tall at 7’1″. Tisdale is not a good defender, but he is actually a very good outside shooter. Can you imagine a 7-footer (not named Dirk) that can shoot the three-ball? He will add that to his repertoire this year, after only missing one of the six threes he attempted in games last year. But, there is one guy not yet mentioned that could make or break this Illinois season – Jereme Richmond. Richmond, a 6’7″ freshman small forward from Chicago is going to start right away for Bruce Weber. You may recognize the name. He was the kid that committed to Illinois four years ago, as a freshman in high school. Well, he followed through on his committment and now he’s here and he’s ready to shine. Richmond, who was Illinois’s Mr. Basketball as a senior (and runner-up as a junior) is the first McDonald’s All-American to come to Illinois in the Weber Era. He’s the real deal and can do it all. With McCamey running the show, Richmond could really shine. Another guy who could really shine this year is the guy who beat out Richmond for Illinois’s Mr. Basketball two years ago, Brandon Paul. Paul is a supreme athlete who can jump out of the gym and shows up with a lot of energy. However, he sometimes needs to reign it in, which if he can, he has all the skills to be a true star. He will get a lot of minutes off the bench in both guard spots and look for him to maybe put up double-figure scoring numbers this year, as the Illini can get points from anywhere, it seems. There are two valuable backup forwards that can contribute to Illinois this year. The first is sophomore Tyler Griffey. Griffey, an athletic defensive stopper has off-the-charts strength. Senior Bill Cole should also provide some quality minutes because of his tenacious work ethic and strength. Without a doubt. The Illini have everyone back and they’ve added the best recruit they’ve had since Derron Williams. Watch out for Illinois this year. Toughness? They still seem a bit soft, particularly for play in the Big Ten. Tisdale is 7’1″ and afraid of contact. Davis is not exactly a bruiser down low either. They will need significant “tough” minutes from Griffey and Cole off the bench to be able to stay with the bigger teams in the conference like Michigan State or Wisconsin. But, they certainly have the skill to play with anyone. A Top Dog? I love McCamey and think he’s going to be a star, but are we sure he’s ready to be the best player on an elite team. I think so, but I’m not totally sure yet. This team is very good and, with a couple breaks, could vie for the Big Ten title. I would say that they are clearly a Sweet Sixteen caliber team with, depending on just how good Richmond is, a very outside shot at a Final Four run. Either way, they should break the five-year drought since winning their last NCAA Tournament game. It’s almost natural to want to write them off after losing Robbie Hummel yet again. But, let’s be careful of that because we tried that last year when they went from everyone’s darling heading into the tournament to everyone’s first-round upset pick. Well, they didn’t get upset in the first round, then won again in the second round, and then gave eventual champion Duke all they could handle in the Sweet Sixteen. There is a lot of talent on this team not named Hummel, that is still very healthy. And, this team is actually pretty deep this time around. Four years ago, Matt Painter brought in an under-the-radar recruiting class and decided to play them right away, take their lumps, and get ready to shine as upperclassmen. Well, the plan worked to perfection, except for that darn ACL of Robbie Hummel. Fortunately for Painter and the rest of the Boilermakers, the other two guys are very, very good. 6’10” center JuJuan Johnson and 6’4″ shooting guard E’Twaun Moore are two of the best players in country and even if Robbie Hummel had never existed, this team would still be touted as one of the best in the country. Johnson is on the short-list for potential national player of the year candidates, and Moore can flat-out fill it up. Both should have decent shots at playing at the next level next year. But, this team is not just these two. Lewis Jackson is a phenomenal player who missed the second half of last year due to a foot injury. He’s back and healthy and people will quickly remember just how good this guy is, even if they can’t see the little 5’9″ point guard because he’s moving too fast. All you ever hear about Purdue is "if only they had Robbie Hummel last year..." Maybe, instead, we should be saying "if they only had Lewis Jackson last year..."
The real intriguing part of this team this year, however, is probably wrapped up in two freshmen named Johnson. 6’2″ Terone Johnson is the prize of this year’s recruiting class and just may force his way into the starting lineup come season’s end. Drawing many comparisons to teammate E’Twaun Moore, Johnson, like Moore, was runner-up Mr. Basketball in Indiana, and can flat-out fill it up. The other Johnson, Anthony Johnson is another guy who will probably get a boatload of minutes on this team. This Johnson can flat-out shoot and has played – and shined – at the highest levels of high school ball in Chicago. They are not better than last year’s team when Hummel was healthy because he’s just too hard of a guy to replace. But, I think they are considerably than they were last year without Hummel. JuJuan Johnson is ready to be a top 10 player in the country, and E’Twaun Moore has developed into one of the best “second-best” players on any team in America. If either (or both) of the freshman Johnsons pan out, this team could be really good. The Johnsons? Can either of the freshman Johnsons emerge and fill at least a little of what they are lacking without Robbie Hummel? Call me crazy, but even without Hummel, I think this team has the potential to be a Final Four team. Everyone is so focused on what “could have been” with all three seniors and seem to be missing what “actually is” with the two that are still there. It’s hard to find a better one-two combination than Johnson and Moore anywhere in the country. Plus, I think people forget just how good Lewis Jackson is. If they get anything from anyone else on this deep roster, they could be a really formidable team come March. Look for the Boilers to make a run at a Big Ten title and then possibly a deep tournament run. Tubby Smith can flat-out coach. Maybe he can’t recruit well enough for a job like Kentucky, but there is a solid place for a guy like him at the college level, and he is going to bring the best out of the Golden Gophers this year, like he last year. One of the knocks on Tubby is a lack of discipline (or, maybe just a knack for ignoring character in recruiting), and no better example of that is their best player this year, Trevor Mbakwe. Mbakwe, who has a decent shot at all-Big Ten honors this year, had to sit out last year after being charged with felony assault in Florida. The case was settled out of court, so Mbakwe is cleared to return to the other court – the basketball court. And, man, is he welcomed back. After one year at Marquette, one year in junior college, and one year under suspension, Mbakwe is ready to start his Minnesota career. He is a true post player that could really make a huge difference for a team that was sorely lacking a true inside scorer a year ago. Don’t get me wrong, they have some talented frontline players, particularly Ralph Sampson III and Colton Iverson, but those two are tall and slow. Mbakwe is the athletic frontline player that is needed in the college game that features so many quick power forwards. Sampson and Iverson are very good in their roles and should be freed up to rebound, block shots and just be tall this year because of Mbakwe. The backcourt is also strong for a seemingly overlooked team in the preseason. They are led back there by senior shooting guard Blake Hoffarber, who led the Big Ten in 3-point shooting a year ago, shooting 46.7% from behind the arc and set a school record with his 85 treys. The point guard duties are up in the air, but it’s a pretty good problem for Tubby to have. 6’1″ senior, Al Nolen started the first ten games last year, but then was declared academically ineligible. Nolen is back now, hoping to regain his starting spot from 6’3″ junior Devoe Joseph, who might not give it up easily. Joseph was 10th in the Big Ten last year in assist-to-turnover rate, filling in for Nolen. There is also an incoming freshman, Maverick Ahanmisi who may get some minutes at the point in his inaugural tour with the Gophers. The Gophers did lose their best player off of last year’s squad, in Damian Johnson, but the added Mbakwe in the frontcourt and get Nolen back in the backcourt. I think that they probably underachieved last year in barely sneaking into the tournament, so I’m not sure they are a lot better, but I do expect better results this year than they had last year (you know, before their amazing Big Ten tournament run). How Will Mbakwe Fit In? If he’s as good as advertised, the sky is the limit for this team. If not, they might just struggle to score at all without Johnson. Who is Going to Score? Similar to the last question, other than Mbakwe and the three-point shooting of Hoffarber, the Gophers do seriously lack anything remotely close to a go-to scorer. Sampson and Iverson are nice, tall players, but not reliable scorers. Nolen and Joseph are distributing point guards. If Mbakwe is not lighting up the scoreboard, they may struggle to score, even with Tubby’s fast-paced style of play. I don’t think they have the horses to compete for a Big Ten title in the best year this conference has seen, but they should definitely be a tournament team. I think that their ceiling is probably Sweet Sixteen, with the more likely scenario being a 7 or 8 seed and not making it out of the first weekend. The Badgers are always good for one reason – Bo Ryan. I can’t think of more than 3 or 4 coaches in the country I would take over Bo, and I’m not even sure I’d take any of them for a program like Wisconsin. The Badgers are never going to recruit all 5-star kids, but the kids that do go are ready to work and ready to play defense. Bo loves that and does it as well as anyone around. This team should be no different. They have one star to lean on and a defensive style that give other teams fits. It all starts and ends with Player of the Year candidate, Jon Leuer. Leuer, coming off of an injury-plagued junior season, appears healthy and ready to put this team on his back and carry them as far as he can. Leuer, a bonafied star, is joined in the frontcourt by an unheralded returning senior, Keaton Nankivil, who can, at times, take the scoring load as he, with his deft shooting touch, fits perfectly into the Wisconsin offense. The backcourt took a big hit with the graduation of Trevon Hughes and Brian Bohannon – two stalwarts for the Badger program. They do have one holdover from last year, and it is junior point guard Jordan Taylor. Without Hughes and Bohannon, Taylor will have to take on a much larger offensive role this year, and he’s very much capable. Expect a big scoring jump from Taylor this year, as he and Leuer should play a really dangerous inside-outside game. The rest of the backcourt is a bit choppy, as they will rely on senior Tim Jarmusz and junior Rob Wilson to fill in a lot of minutes, considering very few rotation players return from a year ago. There are a couple young guys who will be given every opportunity to break out this year, including sophomores Ryan Evans, Jared Berggren, and Mike Bruesewitz. They also have a little help in the frontcourt with 6’11” fifth-year senior, J.P. Gavinski. The Badgers do have a couple promising freshmen, led by a top-100 recruit in center Evan Anderson. They also have a slick shooting guard that was supposed to go to Iowa, Ben Brust, and a lanky Yugoslavian small forward, Duje Dukan. No. Hughes, especially, but also Bohannon were just too good to replace with a bunch of guys who haven’t seen much Big Ten action. Leuer is back and healthy, so that is a big plus, and Taylor should emerge as one of the Big Ten’s best point guards, but there just isn’t enough around them to say that they are better than they were last year. Then again, Bo always does great things with rosters from which you don’t expect much. Is there anybody else? Leuer and Taylor are good. Nankivil is decent. What else is there? Can Jarumsz or Wilson step up? Will they get a breakout from someone like Bruesewitz or Berggren? Can Bo do it again? He has made a name for himself winning with smoke and mirrors. This year, he has a stud in Leuer, so he can lean on that, but he’s pretty lean in other places. I’ve been surprised before, so I think they’ll be in it, but I don’t think the Badgers can hang with the likes of Michigan St. or Ohio St. in the Big Ten race. I think they will make the tournament, but the Sweet Sixteen would be the absolute maximum you can expect from the Badgers this year, I would say. Two Big Ten teams that have lived almost their entire basketball lives as “irrelevant” round out the nine “relevant” Big Ten teams this year. It would be phenomenal seasons if either of these teams made the NCAA tournament, but don’t rule it out because there is talent there. In fact, I will be rooting for both Northwestern and Penn State to make the tournament, as both of their fan bases deserve it. “That’s the fire swamp; we’ll never survive!” “Nonsense, you’re only saying that because nobody ever has.” I really wanted to talk about Northwestern as a “Contender” alongside Wisconsin. But, Northwestern has been competing in men’s basketball since 1904 and, to this day, has never competed in the NCAA tournament. So, I’ll say it here – I will not consider them a contender until they make the tournament. So, they are stuck with “Relevant.” But, the pieces are in place to make it so next year I might have the opportunity to make the a Contender, if I so choose. This team can make the tournament. Will they? It’s hard to say. They took a big hit backwards when one of their stars, Kevin Coble decided that his injured foot wasn’t healing correctly and was going to begin his “life after basketball” a year early. But, there are plenty of leaders on this team and none more important to his team (maybe to any team in the county) than 5’9″ senior Juice Thompson. Thompson, who has started every game of his college career and played over 93% of Northwestern’s minutes last year, is a phenomenal point guard. Last year, he posted a 14.2 ppg average, a 2.4:1 assist-to-turnover rate, 88 three-pointers (41%), and 83% free throw percentage. The guy is a star. But, he’s not the only one. The 6’8″ junior forward John Shurna lit it up last year inside and out, averaging over 18 ppg. And, sophomore swingman Drew Crawford had an excellent freshman season and is ready to take another step this year. The Wildcats also will get versatile 6’6″ senior forward Jeff Ryan back from an injury last year. And, maybe most importantly, they have added the metro-Atlanta high school player of the year, JerShon Cobb, to the mix as a coup of a recruit. Like I said, this team has all the pieces to end a Cubs-like drought for the Chicago institution, but are Thompson, Shurna, and Crawford enough to exorcise those demons? can be relevant in a loaded Big Ten this year (much to the delight of my BSB compadre, Doogan). It all starts with Talor Battle. Battle is a stud, who will be playing professionally next year, somewhere, and it might even be The Association. Battle is a do-it-all guard who has the ability to the be the best player on the floor on any given night. When you have that, you’ve got a chance. But, it’s not just Battle, as the Nittany Lions throw out three other seniors with a wealth of Big Ten experience under their belts (the 4 seniors have combined for 301 starts in the college careers). David Jackson can score in bunches from the perimeter and, though he’s only 6’6″, is more than willing to mix it up down low with anyone on the defensive end. 6’10” Andrew Jones is a true back-to-the-basket player, who has the size and strength to make a difference. He just has to be more consistent and take charge in the box. Jeff Brooks has all the size and talent to be a star, he just has never really put it together. Shot selection and defensive intensity have been real concerns for a 6’8″ wing who seems to prefer to take ill-advised jumpshots over driving to the basket and taking a hit. If Brooks can learn to use his talents, he could be an excellent option. As surprising as it is to see Northwestern and Penn State populate the “Relevants” category, it is eve more surprising to see Indiana as “Irrelevant,” but that is the case. Iowa and Michigan should also struggle mightily this year, although Iowa is at least going in the right direction. Indiana. Man, it’s hard to talk about Indiana as being irrelevant, but that is what Mike Davis and, moreso, Kelvin Sampson have done to this program. But, have no fear, Hoosier fans, the irrelevancy will not last long because you guys have one of the absolute best at the helm. Tom Crean will turn this ship around in no time – maybe even sooner than people think. If it’s going to happen, it’s going to happen because of Maurice Creek, the do-everything sophomore guard who only played in 12 games before injury cut his freshman year short. 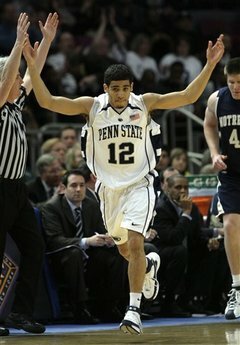 But, those 12 games were very impressive, as he led all freshmen in the country in scoring at the time of his injury. Iowa. The Hawkeyes have a new coach, and he’s a good one. Philly’s own Fran McCaffery has landed in Ames to try and bring the Iowa back to prominence after the failed Todd Lickliter Era. He’s got some talent to do so, but it might take a year or two. Sophomore Cully Payne was the Big Ten Freshman of the Year last year. Junior Matt Gatens was on the All-Freshmen Team two years ago, and sophomore Eric May joined Payne on last year’s All-Freshmen Team. So, there’s a decent, young nucleus around which McCaffery can build, but he took a big hit when a really nice recruiting class all deserted Iowa when Lickliter was relieved of his coaching duties. Either way, I think this team will be okay, but not really in the race at any point…yet. Michigan. John Beilein is good, but I’m not sure he’s this good. Manny Harris and DeShawn Sims are gone, and there is very little left in the cupboard for the great Beilein to work with. This team is going to struggle mightily. Thank god for Rich Rod or Beilein’s seat might be even hotter. The only real shot Michigan has is that juniors Zach Novak and Stu Douglass play more like they did as freshmen than as they did as sophomores, and that sophomore Darius Morris can step up and be a true dynamic lead guard. Over the next week or two, BSB will be previewing each of the major conferences in the college basketball season. With the ACC-Big Ten Challenge underway, we figured we’d start with those two conferences. Hopefully, I’ll finish the Big Ten either tonight or tomorrow morning, so check back. The ACC has been the best college basketball conference in the country pretty much as long as I can remember. They might not be the best this year, but they have the best single team, that is for sure, and can still boast some other outstanding programs. This conference probably does have the best crop of incoming freshmen in the country, led by Harrison Barnes at UNC, Kyrie Irving at Duke, and C.J. Leslie at N.C. State. With Duke’s championship last year, the ACC claimed its 12th national title, and its 5th in the last 10 years. Following UNC’s 2009 title, the ACC has now had two seperate schools win national championships in successive seasons FOUR times in the last 30 years. The Big East is the only other conference to boast such a feat, having done it twice (Georgetown and Villanova in the mid-80’s and UConn and Syracuse in the mid-00’s). The ACC is 347-175 all-time in the NCAA tournament, which is more wins and a higher winning percentage than any other conference in the country. The ACC was 153-39 (.797 winning percentage) in non-conference games last year. It was the 8th straight year where ACC teams won at least 75% of their games against non-ACC opponents. Overall, the ACC has a winning record against all 31 other D-I conferences. 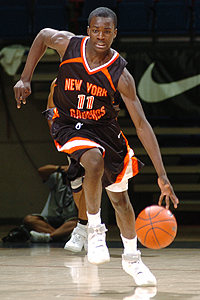 When the New Jersey Nets selected Georgia Tech’s Derrick Favors as the #3 overall pick, it marked the 22nd consecutive season featuring an ACC player chosen in the first round of the NBA draft. Over that span, the conference has had 91 first-round picks, or an average of more than 4 per season. As usual, the ACC is full of highly decorated coaches. Mike Krzyzewski needs 35 more wins to pass Bobby Knight as the all-time winningest head coach. Gary Williams is #3 on the all-time ACC list, behind Krzyzewski and Dean Smith. Roy Williams, even with more than 400 wins at Kansas, only needs 26 more wins with UNC to crack the Top Ten in ACC history. Last year, Maryland’s Greivis Vazquez finished his career as the ACC’s 18th all-time scorer and 8th on the all-time assists list. Duke became the first school to welcome in a 10th member to the 2,000-point club, as Jon Scheyer reached it last year. They will almost assuredly add an 11th member, as Kyle Singler is only about 200 points shy of the mark. Virginia Tech’s Malcolm Delaney should also reach 2,000 points this year, as he enters the season with almost 1,600. This team is absolutely stacked with talent. Kyle Singler – for some silly reason like “valuing education” – decided to forego a possible lottery selection to come back, get his degree, and try and win another national title in Durham. Singler, this year, will join with a fellow 17-ppg scorer from last year’s title team, Nolan Smith, to form what will probably be the best duo in the nation this year. But, that is not all. They have traded in their unskilled, unselfish bigs for a couple of Plumlees. Miles Plumlee, the elder, made great strides last year and has the elite athletic ability to dominate on many nights in the ACC. Mason Plumlee, the younger, was rated by Chad Ford (among others) as a first-round NBA draft pick last year if he were to bolt for the Association. Oh, and all of this and we haven’t even mentioned the best (arguably) freshman in the country, Kyrie Irving, who will be running the point for the Devils. 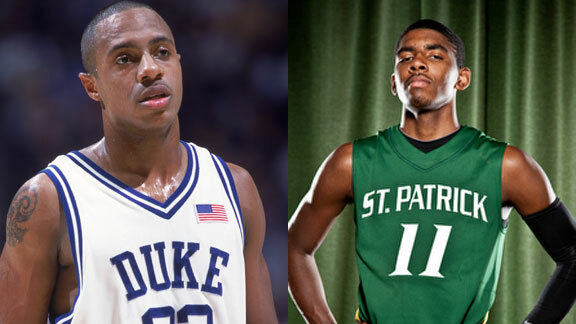 Irving has the potential to be one of the best point guards in the illustrious history of Duke, as he has been compared favorably to the likes of former ACC standout point guards, Jay Williams and Chris Paul. Is Kyrie Irving the Second-Coming of Jason Williams? And, what about the bench? Well, there have been sources close to the Blue Devils team that said the best guard on the team last year (the title team that included Jon Scheyer and Nolan Smith) was Seth Curry. Who is Seth Curry? Well, he is the little brother of current NBA sharpshooter, Stephen Curry, and son of former NBA sharpshooter, Del Curry. He is a transfer from Liberty (where he lit it up his freshman year to the tune of over 20 points per game) that had to sit out the games last year, but was allowed to practice with the team. So, he’ll be instant offense off the bench. They also have sophomore Ryan Kelly off the bench, who is a 6’10” forward who WON the McDonald’s All-American three-point contest in 2009, and 6’8″ freshman, Josh Hairston, who started (with Irving) on the U.S. National Under-18 Team that won the World Championships last year. Ya, like I said, they’re STACKED. Better? Can you be a better team than the one that won the ACC regular season, the ACC tournament, and the national championship? Yes, and they are. In fact, I might say that they are MUCH better – at least on paper. Jon Scheyer is a big loss, and Lance Thomas and Brian Zoubek are losses because of how well they knew and took to their roles. But, honestly, when you replace a decent college point guard with one of the best freshman in the country, and you replace two serviceable role-playing bigs with immense talent, you’ve got an upgrade. Last year’s Duke team never even cracked the AP Top 5 during the regular season, so yes, I’d say that this team is better. Too Much Talent? Are they going to take a step backwards now that they have SO much talent? Do you need guys like Zoubek and Thomas to win at the college level? Maybe. Change of Pace? They are switching from a plodding, half-court style of play last year to an uptempo, pressing, run-and-gun style this year. Will that lessen the effectiveness of Singler and Smith, who are not the fastest end-to-end guys in the league? Will that cut back on the minutes of the best starting five in the country? Their Ceiling. There is no doubt that this team can repeat as National Champions. They are the odds-on favorites to do so, and, if Irving is as good as advertised and the Plumlees develop the way most think they will, this could be one of the best college teams in recent memory. Yeah, I know, this is an interesting team to peg as “My Favorite,” but I really like this team, and the “My Favorite” tag is more of a “no one may know it yet, but these guys are good.” I’ve used this tag three times now, on a national level, starting with the surprising Tennessee team led by Chris Lofton then the Louisville team led by one of my favorite all-time college players, Terrance Williams, and then last year for Purdue. This year, I’m going to pick one for each conference I preview, and the ACC tag goes to Va Tech. With all five starters back (and almost assured to become the program’s winningest senior class), the Hokies shouldn’t have any anxiety on Selection Sunday this year. Malcolm Delaney - The first nomination for "Best Player No One's Ever Heard Of"
It all starts with senior point guard, Malcolm Delaney. Delaney is a true college scorer, who can score from anywhere on the court. He has also matured his game to the point where he’s not just a gunner anymore, he has really refined his distribution ability so that he gets everyone involved. His running mate in what might be the nation’s most underrated backcourt is 6’5″ senior Dorenzo Hudson. Though you may have never heard of him, Hudson was 10th in the ACC in scoring last year, even though he makes his bread on the defensive end, as a true lockdown defender. The frontcourt is a bit undersized, but certainly up to the task. They are led down low by SR power forward, Jeff Allen, whose off-the-charts athleticism may be indicated by the fact that he is the ACC’s active leader in rebounds, blocks, and steals. As a more mature player, the Hokies hope that Allen can play with more consistency this year, as he seemed to disappear at key moments last year. If he does, he might be one of the best bigs in the conference. The other forward is another senior, Terrell Bell, who is a do-everything, glue kind of a guy. He hustles for loose balls, is a very good passer and rebounder, and is an excellent defender on the perimeter or in the post. He also has a knack for taking – and making – the big shots. Along with the four seniors, the center is junior Victor Davila. Davila isn’t going to wow you and will probably be lost at times behind the four stars, but he kind of fits exactly what Va Tech needs to complement the other 4 starters. With the majority of the shots coming from the backcourt, and the offensive touches in the lane almost all going to Allen, Davila knows his role – rebound and block shots – and he does that pretty well. At only 6’8″, he may struggle with the legit 7-footers on the league’s top teams, but overall he should provide what the Hokies need. Yes, without question. Everyone is back from a team that was the last team out of the tournament last year, so you have to think that, barring injury, this team should be a solid NCAA tournament team this year. Duke is so stacked that it’s hard to imagine anyone will unseat them from the ACC title, but if it’s anyone, it might just be the boys from Blacksburg. Depth? The bench is the issue with this team in that, well, they don’t really have one. But, that is not as big of a problem because this group of starters is used to playing a ton of minutes and Coach Greenberg is good at monitoring foul trouble. Size? They are a bit undersized. Davila is their tallest regular at just 6’8″, so they may have trouble with bigger frontcourts. But, fortunately, their perimeter starters run 6’3″, 6’5″, and 6’7″ and are all decent rebounders, so that should help out the size problems for Davila and Allen. As far as the conference goes, I think that their ceiling is probably runner-up, but that would be a nice finish for a football school in the best hoops conference in the country. As far as the tournament goes, I think that they have an outside shot a seeding as high as 2 or 3, though I expect them somewhere in the 4-7 range. I could see this team making a run to the Sweet Sixteen, but I’m not sure that they have the firepower to go much further than that. Even if everything fell completely into place, I don’t see this team as Final Four caliber…as much as I would like to. It’s not a stretch to say that the UNC basketball team is one of the country’s elite teams, but it would be nice to see a quick bounce-back from a dreadful season last year. Even though I don’t particularly care for either team, I have to admit that college basketball is better when the Duke-UNC games are meaningful. They should be somewhat meaningful again this year. Exactly who is this Harrison Barnes you speak of? UNC is loaded with talent, we all know that, but is it the kind of talent that they need to rebound from a terrible season? I think so. 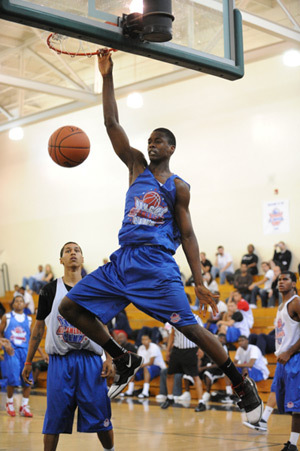 It will all start with super-frosh Harrison Barnes. Barnes, who elicits Kobe comparisons, is the first freshman to ever be named to the preseason All-American team, and from all accounts, he’s worthy of such high praise. He should be the top pick in the upcoming NBA draft, but he’s apparently the consummate worker on and off the court. He has a refined midrange game on the court, and he is a honor roll student and saxophone player off of it. He seems to be the real deal. But, Barnes is not the only newcomer that could shine for this team. Kendall Marshall, a 6’4″ McDonald’s All-American point guard, who has been favorably compared to past UNC point guards Raymond Felton and Ty Lawson (pretty decent players, huh?). Marshall may not start right away because the job still belongs to junior incumbent Larry Drew II, who started to play a little better at the end of last year, but may end up backing up Marshall, who was rated the best passing guard in the whole freshman class. The other starting guard spot will probably start out going to Will Barnes, a 5th-year senior, but should end up, by the end of the year, going to one of the super-sophs (Dexter Strickland or Leslie McDonald), who struggled last year, but should regain the shooting touches that made them such prized recruits. Or, there is an outside shot (no pun intended) that highly-touted freshman sharp-shooter and tenacious defender, Reggie Bullock, earns the starting spot. And, then there is the frontcourt that was absolutely gigantic, until they took a gigantic hit with the shocking transfers in May of the two 7’0″ Wear twins to UCLA. That left the frontcourt a big short (in players, but certainly not in height). Neither of the Wears were going to start because of 7’0″ junior Tyler Zeller and 6’10” sophomore John Henson. Zeller, if he can stay healthy, could have a breakout season, as he possesses all the skills and, now with 20 extra pounds of muscle, the size to be a dominant force in the ACC. Henson, who was supposed to be a one-and-done guy a year ago, also put on 20 “good” pounds this offseason and may also be poised for a breakout season. The frontcourt problem now with the Wear twins departure is going to be depth, so it’s really important that Zeller and Henson stay out of foul trouble. A welcome solution to the depth problem may come in an underrated addition, Justin Knox, who is a 6’9″ senior transfer from Alabama. Knox, who has three years of SEC experience under his belt, should be a welcome addition to the UNC frontcourt rotation. Last year’s team only made the NIT because they are “North Carolina.” Their season was a total loss, so yes, they are a LOT better than last year. Repeat Performance? Now, we say all of this about how they will definitely be better, but are we sure that last year was such the anomaly and that this year’s squad (which looks scarily similar to last year’s in personnel) won’t suffer the same afflictions? Are they counting on a freshman point guard to distribute the ball to the bevy of heralded sharp-shooters and talented bigs? Is there enough defense and selflessness on this roster to overcome the problems that sunk them last year? All good questions, though I believe that this team will be very good. Honestly, this team is really hard to figure (mainly because they are going to be so reliant on guys who haven’t ever really done it on this level). I think they will probably struggle early working out the kinks and allowing Barnes to be the superstar, but in the end, I can see this team being really, really good. They should push Duke, at least a little, for the ACC title, and I think they even have an outside chance to cut down the nets as National Champions. Yes, Sidney Lowe’s squad is really, really good this year. I couldn’t quite call them “elite,” but I was close. This is, BY FAR, Lowe’s best recruiting class, and if the freshmen are as good as advertised, this could be a big-time contender come March. The Wolfpack have four of last year’s starters still on their roster this year, but only one of them, Tracy Smith, will start, and he was more a role player at power forward than anything else last year (though, this year, he may blossom into an all-ACC performer). And, it is not because of anything that the starters did or didn’t do last year. Javier Gonzalez did an admirable job at the point (10 ppg, 3 rpg, 4 apg), but will most likely come off of the bench for his senior year. Scott Wood was a lights-out streaky shooter last year for the ‘Pack, averaging almost 8 ppg as a starting freshman, but he is on the bench this year. C.J. Williams was a high-energy, junkyard dog kind of a guy last year at small forward, who will now provide that energy off the bench. This is all because of Coach Lowe’s dynamic freshman class. C.J. Leslie is the most highly-touted of the bunch, as a McDonald’s All-American and a high school teammate of John Wall at the Word of God Academy in Raleigh. The best recruit NC State has landed in quite some time, Leslie can score from anywhere, at any time, against anybody and could be one of the best offensive players in the ACC immediately. Not exactly the easiest to handle off the court, however, as questions about Leslie’s game have always seemed to center around shot selection and defensive intensity, so he might be a major challenge for Coach Lowe…you know, when he’s not dropping 30 on Wake Forest. With the 6’8″ Leslie at the small forward position, the backcourt will be two fellow freshmen. 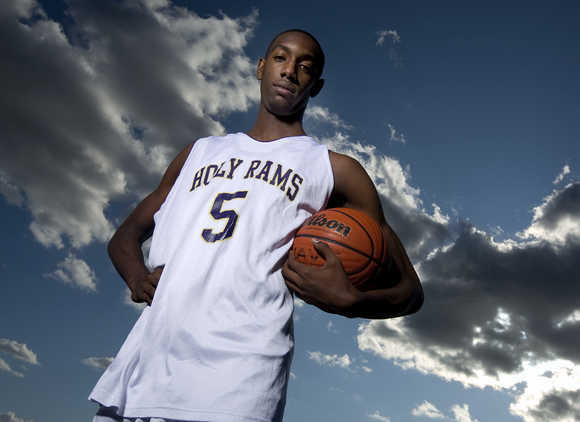 Five-star recruit, Ryan Harrow, was rated as the #7 point guard in the nation. Harrow is strongly considered one of the best “true point guards” in this freshman class, even though he averaged over 31 points per game in high school in Marietta, GA. His backcourt mate this year is another freshman from Georgia, Lorenzo Brown, who actually was named GA’s Mr. Basketball two years ago (he took a year off to go to prep school for academic eligibility purposes). Brown is another dynamic scorer and should team incredibly well with fellow freshmen Leslie and Harrow. The fifth starter, to go along with the three freshmen and Smith will be one of two sophomore bigs. 6’8″ Richard Howell, another Georgian, was a pretty decent recruit in last year’s class, but was hobbled most of the year from an early-season injury. He’s back and healthy and they expect him to put up some numbers this year. 6’9″ DeShawn Painter was also considered a very good recruit last year, having originally committed to Florida, but struggled adjusting to the speed and tempo of the ACC. With a year under his belt, the ‘Pack expects more from Painter this year. 5-11 in conference play last year? Yes, I think that N.C. State should be better than that this year. In fact, as you can see, I have them as one of the four best teams in the conference. Freshmen? How quickly are these freshmen going to gel? Coaching? Many people question the competency of Sidney Lowe. I am not one of those people, but I am still waiting for him to put together a solid season in Raleigh. There is no doubt that this team, especially with Leslie, has tournament talent, so anything less than a tournament appearance will be a disappointment. If everything comes together, I think this team may even win a couple games in the tournament. Freshmen get better as the season goes on, so it wouldn’t completely shock me to see this team as a 6- or 7-seed and pull off an upset or two and find themselves in the Elite Eight. Call me crazy, but I like this team. There are a couple more ACC teams that are certainly relevant in the context of the national college basketball landscape this year, but I don’t expect major things from these teams. Tournament appearances would be successful seasons for these middling teams this year, though I do expect at least one, if not two or three of these teams to put it together and qualify. Like last year, when the Tigers leaned on senior star, Trevor Booker, they will have to do it again this year with a senior star, Demontez Stitt. Stitt, a 6’2″ point guard has all the makings of a big-time ACC guard, he just has yet to put it together, and he’s down to his final chance this year. Stitt will be joined by a couple of junior guards, 6’5″ Tanner Smith, who is a “glue guy,” and 5’9″ Andre Young, who, if not for his size, might be a pro-caliber 2-guard. But, alas, he’s 5’9″. The frontcourt is also pretty solid, led by the nephew of Horace Grant, Jerai Grant, and the little brother of Trevor Booker, Devin Booker. Gary Williams’ team has seen some difficult times recently, and though they may not be returning to the national championship picture, they are regaining some of their relevance and have a decent shot to return to The Dance this year. Their frontcourt should be the strength of the team this year, with two sophomores that might take off into superstardom, Jordan Williams and James Padgett. Dino Gregory provides strength and defense, while senior leaders, Sean Mosely and Adrian Bowie will man the backcourt. Cliff Tucker could be a real X-factor for the Turtles, as he can score in bunches off the bench. Though he lost Greivis Vazquez, Williams may have a team that more suits his style this year, as they are deep and athletic, so he can get them running again. Miami finished in last place in the ACC last year and lost their two two scorers and rebounders, but actually should be better this year. That is because of the progress of sophomore playmaking point guard, Durand Scott. Scott, a prototypical NYC point guard took off in the ACC tournament last year and might carry that momentum into this year, where he might become one of the better PGs in the country. The ‘Canes should run at least three guards, including two point guards, as Scott will probably be joined by fellow point guard (and Villanova transfer), Malcolm Grant. Scott and Grant could form one of the better backcourt tandems in the league. They still have some size and skill, but they don’t really have a complete team. Chris Singleton, the 6’9″ junior small forward was the ACC’s defensive player of the year last year and is back to lead this team. The Seminoles will go as far as he can take them, being a former McDonald’s All-American with future NBA aspirations. They also have a decent point guard in 6’4″ senior, Dervin Kitchen, but Kitchen, like the rest of the ‘Noles really struggles from outside. This team probably just lost too much to the NBA recently, but they should be okay this year, and have an outside shot at the postseason. Point guard Iman Shumpert is the leader, as he can score and distribute as well as anyone. He just lacks consistency and turns the ball over way too much. Shumpert is joined in the backcourt by two energetic playmakers, Mfon Udofia and Mo Miller, who should help out with ballhandling and penetrating. The frontcourt, while very small, is incredibly talented and athletic, with some deft shooting touches. Glen Rice, Jr. could be a star in the making, following in the footsteps of the Old Man. Brian Oliver is also a gifted scorer who is very versatile. Jason Morris, though he has the furthest to go of these three, may end up being the best of the bunch. The three bottom-feeders of the ACC are rather irrelevant this year. Boston College. Not a very good team that is really hurt by being so far away from the rest of the conference, geographically. Wake Forest. 6’3″ sophomore C.J. Harris is a star, but the rest of the team is not very good. They may be good in a couple of years, but the death of Skip Prosser is still causing major pain to the program. For a while now, ever since early NBA departures became the norm, college basketball has been a guard-dominated sport. You don’t have to look any further than last year’s champion Duke team that was led by three stars on the perimeter and just relied on their big men to rebound and defend. And in a sport that is increasingly dominated by freshmen and sophomores, it’s telling that this list of Top 12 Point Guards consists of 10 upperclassmen. Not surprisingly, the already-crucial point guard position has become even more important. Most point guards in college basketball used to just focus on their passing and let the other guys handle the scoring load. Now, with so much of the elite talent in the backcourt, point men have to set up their teammates and find their own shot. And, of course, they have to be able to stop their counter-part from pulling off those dual tasks on the other end of the court. With that in mind, we present the top point guards in college hoops this year. We’re trying to limit the list to guys that are truly point guards, meaning that some top players that spend a lot of their time playing off the ball (K-State’s Jacob Pullen, Pitt’s Ashton Gibbs, and Nova’s Corey Fisher, for example) didn’t qualify. 12) Juan Fernandez, Jr., Temple: This list has been shaken up by what’s happened in these first couple weeks of the season, and Fernandez is lucky to hang on to a spot on this list after his abysmal performance in the Old Spice Classic this week. Though he’s had a rough start, he showed last year that he’s a big time player. He’s a very crafty and creative player that generally has a good idea of what to do with the ball. He can knock down perimeter shots and finds ways to get into the lane and get the ball into the basket despite his limited quickness. 11) Dairese Gary, Sr., New Mexico: Full disclosure: I’ve never seen this guy play. Mountain West teams are never on TV, which is a shame because it’s been a really good league the past couple of years, this year included. Gary came into his senior year already closing in on 400 assists, and he averaged 13 points last year for a team that went 29-4 and earned a 3-seed in the tournament. I’ll have to let the experts and the stats do the talking, but it seems like he belongs on this list somewhere. 10) Talor Battle, Sr., Penn State: There haven’t been too many wins, but its still been a pretty incredible career in Happy Valley for Battle. He’s less than 6 feet tall, he’s not a great shooter, and he’s not even all that quick, yet somehow he’ll probably score 2,000 points in his career. And remember, he’s playing most of his games against Big Ten defenses. He’s also somehow managed to average over 5 rebounds a game over the last two seasons. This is just a guy that knows how to play the game and does all the little things, along with scoring 18 a game. 9) Isaiah Thomas, Jr., Washington: If you’re going to be a small point guard, it probably doesn’t hurt to have the same name as arguably the best small point guard to ever play the game. Let’s just hope this Isaiah isn’t planning a career in an NBA front office. This little guy (listed at 5-8) definitely reminds you of former Huskie Nate Robinson. He can get up and dunk it, and though you expect a guy his size to be mainly a distributor, he definitely looks to score it. In fact, he’s on pace to become Washington’s all-time leading scorer. He had a chance to get higher on this list, but with a disappointing showing at the Maui Invitational, 9th is probably generous. 8. Malcolm Delaney, Sr., Virginia Tech: Like Thomas, Delaney is a point that looks to score first. Unlike Thomas, though, he looks like a scorer, at 6-3 and 190 lbs. Delaney actually led the ACC in scoring last year (20.2) and was 1st Team All-Conference. He’s not a great long-distance shooter, but he’s tough to handle off the dribble, can hit from mid-range, and lives at the free throw line. And even while putting up 20 a game, he still managed to average 4.5 assists a year ago. He’s had a rough start to this season, averaging over 6 turnovers, and he’ll have to get better at taking care of the ball if he wants to play on the next level. 7) Kevin Anderson, Sr., Richmond: The reigning A-10 Player of the Year spent a lot of time at 2-guard last year, but the point job is his now. It doesn’t seem to be bringing him down so far, as he put up 28 points in an upset of Purdue on Saturday. Also, his assist/turnover ratio has doubled so far, from 1.1 last year to 2.2. If he can keep that ratio in that range and still average the 18 points a game he did last year, there’s no reason he won’t repeat as the Player of the Year and take his team back to the NCAA tournament. 6) Brandon Knight, Fr., Kentucky: This is the fourth straight year that John Calipari has a freshman starting at the point and the last three were some guys named Derrick Rose, Tyreke Evans, and John Wall. Rose and Evans won the NBA’s Rookie of the Year award and Wall is favored to do the same this year. So, I guess it’s a disappointment that Knight is only checking in at 6th on this list. If this were a list based on NBA potential, he’d probably be higher, but he’s definitely played like a freshman at times so far, averaging almost 5 turnovers. Still, he’s lightning quick, makes some nice passes, and he’s probably a better shooter at this point in his career than any of the three guys he’s following. He’s very skinny, but with some added weight and seasoning, he’ll be yet another lottery pick point guard for Calipari. 5) Chris Wright, Sr., Georgetown: Wright is sort of the opposite of Knight. He’s not all that quick and never really wows anybody, but he’s rock solid all-around and has probably been underrated to this point in his career. He’s very much in control of the Hoya offense and offers a nice mix of scoring and distributing. He averaged 15 points last year and though his scoring is down a bit at the start this year, he’s averaged 7 assists through the first six G-Town games. 4) Kyrie Irving, Fr., Duke: When you’re the top-rated point guard coming out of high school and you’re stepping into the starting line-up for the defending champs, there will obviously be a lot of pressure, and Irving seems to be handling it well so far. This is nitpicking, but I haven’t seen elite quickness from him, and he has an easier job than someone like Knight because he’s playing alongside some really good seniors instead of other young guys. That being said, he’s averaging 5.8 assists to just 2.3 turnovers and shooting 49% from the field and 40% on 3’s. Against a top-notch defensive team in Kansas St. he put up 17 points and 6 assists. He seems to be the complete package in terms of skill, basketball IQ, and physical tools, even if not an absolute elite athlete. He could possibly be #1 on this list by March. 3) Demetri McCamey, Sr., Illinois: McCamey is the best distributor on this list but he also has a well-rounded game. He averaged 7 assists a game last year and has raised that so far this year to 7.7, with just 2 turnovers per game, giving him a pretty ridiculous 3.9/1 ratio. He also averaged 15 points a game last year and it looks like he’s improved his mediocre shooting, hitting 13 of 27 3’s so far. He’s got a wide-body but is still surprisingly quick and he’s so big and strong for a point guard, which he really uses to his advantage. An underrated player and maybe the best “pure” point man in the nation this year. Walker is on top, but will he still be come March? 2) Kalin Lucas, Sr., Michigan State: Considering Lucas was the Big Ten Player of the Year two years ago as a sophomore, he probably should be #1 on this list, or even in the NBA, but a somewhat disappointing junior year has kept him from the top spot. He’s an absolute jet with the ball, and it looks like the Achilles tendon tear he suffered in the tournament in March is fully healed. He had a terrible game when they lost to UConn in Maui, but he came right back and put the team on his back, scoring 29, to beat Washington the next night. If he can get his assist/turnover ratio back up to where it was two years ago and keep shooting it well like he has so far this year, he’s definitely an All-American candidate, and maybe the best point guard in the country. 1) Kemba Walker, Jr., Connecticut: It’s safe to say that Walker would not have topped this list before the season started, but an electrifying start to the season has put him at the front of any conversation about the best point guards in the nation. He’s averaging 30 points a game, including 42 against Vermont, 30 in a defeat of then-2nd ranked Michigan St, and 29 in a defeat of highly-ranked Kentucky. Walker is a similar player to Lucas. Undersized by NBA standards (6-1), but incredibly quick with the ball and an excellent passer. In his first two years at UConn, he looked like the proto-typical New York City point guard: a relentless penetrator and tenacious defender that couldn’t make a jump shot. Well, at least through 5 games, he looks like he may now have a jump shot. If that is the case, it hasn’t come out of nowhere. He improved his 3-point percentage from 27% his freshman year to 34% last year. If he can shoot it at 40% this year, like he has so far, he is the best point guard in the country, and probably an NBA lottery pick next summer. Adding to the impressiveness of his start is the fact that he’s the only established player on a team that is full of freshmen and a couple sophomores. He came into the year knowing that the team would go as far as he could take them, and he’s stepped right up to that pressure with the best November of any player in the country, leading his team to a very surprising win in the Maui Invitational. Josh Selby, Kansas: Freshman will become eligible in December and will most likely deserve a spot somewhere on this list. We wrap-up our MLB Awards in pretty uninteresting fashion with the MVP Awards. Joey Votto and Josh Hamilton took home the awards, and BSB agrees with the choices unanimously. I’m not generally in favor of voting for pitchers for MVP, but this was the Year of the Pitcher. To me, there was a pretty big drop-off after Votto and Pujols, so I gave our boy Doc some credit. Cabrera’s numbers were overwhelming enough for me to bump him ahead of two guys that led their teams to the post-season. I think Crawford had a somewhat underrated year, as clearly the best player on the best team in the AL. Along with all the normal awards, BSB has also cast votes for the “pleasant surprises” and most disappointing players in each league in 2010. So, before we get to the MVP awards in a day or two, here are the players that didn’t do what we expected this season, for better or worse. Not including Gonzalez was probably an oversight by me, but I think after he dominated the Phillies in the ’09 LDS, I was expecting a good year from him. Not THAT good, though. That season from Dickey came out of absolutely nowhere. 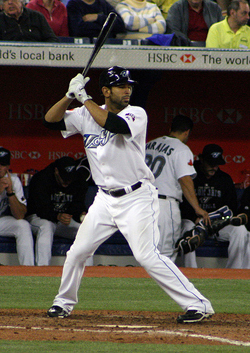 As Bry said, Bautista was the easiest choice for any award. The 29-year-old’s career high in HR was 16 before he launched 54 this year. Bry put 8 pitchers along with Bautista and Beltre. Colby Lewis makes second on my list after spending the last couple of years in Japan before playing a key role in the rotation of a division champion for Texas this year. Minaya is gone, but his handiwork remains! Another oversight by me by not having Bay on this list. Sandoval’s average dropped over 60 points, and his home runs were cut in half from ’09. Last year’s NL Rookie of the Year, Coghlan, saw his average drop over 50 points. By all accounts, Beckett is not a good guy, so it’s nice to see him take the unanimous Disappointing Player award. Vazquez and Figgins were new acquisition busts. I know Kazmir had some injuries, but he’s still only 26 so it’s pretty surprising that his career looks like its on the ropes after some really good years for Tampa. Speaking of the Rays, maybe Joe Maddon did a better job than we realize, considering 4 of his players appear on these two lists and they still ended up with the best record in the AL. The one player on my list that Bry doesn’t have, Zobrist, saw his average drop 60 points and home runs drop from 27 to 10. No surprises here, as BSB is fully on-board with handing the Cy Young award to one of our Phillies for the first time since 1987, when Steve Bedrosian won the award as a closer. Doc becomes the first Phillie starter to win the award since Steve Carlton won his 4th in 1982. Just an incredible season by a guy who is really establishing himself as one of the all-time greats. Wainwright and Jimenez both had seasons that would win them this award in many years. Bry put another Phil, Oswalt, onto his ballot. I’ll defend my choice of Hernandez. I agree with Bry that the backlash against wins has gone too far, but when determining who is the best pitcher, I still put win-loss record behind other statistics, namely ERA and WHIP. As has been well-documented, the Mariners had an epically, historically bad offense this year, and that’s why Felix only managed 13 wins. Hernandez led the league in ERA and was second (to Cliff Lee) in WHIP. Most importantly, in my mind, he led the league in innings pitched, at 249. You can blame a pitcher for not gutting it out and fighting for wins when his team needs him, but if the guy threw 249 innings with a 2.27 ERA, I think it’s hard to blame him for only winning 13 games. Hernandez threw 1 less inning than Halladay, had a WHIP .02 higher, an ERA .17 lower, and he did it in the American League. I don’t put Buchholz up there with Hernandez, Price, and Sabathia because he only threw 173 innings. If I’m going to vote for a starter for Cy Young that didn’t really get close to 200 innings, he needs to have been way more dominant than the other contenders, and a 1.20 WHIP (despite his sparkling ERA) just doesn’t cut it. I go Hernandez over Price because, despite winning 6 less games, his ERA was a half run lower and WHIP was .13 lower. And I go Hernandez over Sabathia because his ERA was almost a full run lower, which makes up for the 8 win difference, at least in my mind. I probably gave a little to much credit to the closers, Soriano and Rivera, but those ERAs and WHIPs while closing games for the two best teams in the American League, are really spectacular. In a season where we’re handing the Cy Young to a guy that only won 13 games, it seemed like giving some credit and votes to the elite closers made some sense. It’s hard to argue with Charlie for this award. He took a team ravaged by injuries all season and led them to the best record in baseball. He’d get my vote in a lot of years. But, even though the Padres didn’t even make the playoffs, I have to go with Black. All year I was looking at that roster and wondering how they were in 1st place. Even though they couldn’t hold on, they still won 90 games. A pretty amazing feat for a team that most people expected to be one of the very worst teams in baseball. BSB agrees unanimously with the choice of Gardenhire. His Twins cruised to the AL Central title and finished just two games back of the best record in the AL despite not having Justin Morneau for half the season and a pretty mediocre pitching staff. Ron Washington was the clear #2 choice for getting the Rangers over the hump. Bry and Doogan both recognized the solid job by Gaston in his last year as the Blue Jays manager, getting them to 85 wins in the tougest division in the game. Bry gave a lot of credit to Francona for managing 89 wins in Boston despite a ton of injuries. BSB thinks Heyward was snubbed. This season, we’re going to announce our MLB Awards (roughly) when the actual awards are announced. The real awards are voted on by the so-called “experts” of the Baseball Writers’ Association of America but, fear not, because BSB is here to set the record straight. Like the actual writers that vote on these awards, we made our packs back in early October, before the postseason. We start with our Rookie of the Year picks. The “actual” award winners were Giants’ catcher Buster Posey and Rangers’ closer Neftali Feliz. So, the unanimous BSB NL Rookie of the Year is Heyward, NOT the actual winner, in what Bry called “the best ROY race I can remember.” Again, we made these picks well before the NLCS, so it’s not bitterness that made us go against Posey. In fact, if we were being unbiased at all, we had more reason to go against the young star of our division rival. Both of us gave Heyward the edge because he was in the Braves’ starting line-up on Opening Day, while Posey didn’t come to the majors until almost two months into the season. It was a close call. Both guys played key roles for playoff teams, but Heyward did it for a whole season. We agree on Garcia as the best rookie pitcher in the NL this year. Bry stuck Strasburg on his ballot on the strength of just 12 starts, while Doogan opts for Castro, who hit .300 for the Cubs. BSB is in agreement with the actual voters on Feliz as AL ROY. The crop of AL rookies was nowhere near the talent and depth of the NL. Jackson hit .297 with 27 steals, while Davis won 12 games for the NL East champs. The first real news of the Phillie offseason came this morning with the reports that the Phils are “close” to a deal with Jose Contreras. Right now the reports are saying 2 years/$5 million for the soon-to-be 39-year-old right-hander. This looks like a nice signing. Yes, he’s old and 2010 was his first full season as a reliever, but he did a great job. With the injuries and inconsistencies that Lidge and Madson faced early in the season, there were long stretches where Contreras was the most dependable member of the Phillie pen. He’s also a proven postseason performer. He pitched four scoreless innings in the playoffs this year, allowing just one base-runner. Back in the 2005 postseason, he was 3-1 as a starter while helping the White Sox to a World Series title. Ruben Amaro has a lot of bullpen spots to fill this offseason, so it’s nice to act quickly on a proven commodity. Obviously, keeping the contract to just two years for a guy as old as Contreras is crucial. Amaro will have to hand out a multi-million dollar deal to at least one other reliever, because this team is currently in desperate need of a proven left-hander. The Phillies announced today that Ryne Sandberg has been hired as the new manager at Triple-A Lehigh Valley. The irony of Sandberg’s return won’t be lost on any long-time Phillie fans. He was drafted by the Phillies out of high school in 1978 but traded to the Cubs before the ’82 season in exchange for Ivan DeJesus. The rumor has always been that the Phillies thought he was too big to play second base. Well, all he did was win 9 Gold Gloves at second for the Cubs, and make 10 All-Star appearances in a Hall of Fame career. As a young fan of really bad Phillie teams in the late-80’s and early-90’s, the trades of Sandberg and Julio Franco were described to me in tones that were probably similar to stories of the Great Depression a half-century earlier. Sandberg badly wanted the Cubs manager job this year, but this time it was the Cubs who deemed him not good enough, and it’s the Phillie organization who have welcomed him with open arms. It still seems unlikely that he’ll be the manager of the big league club in Philly, though. Charlie Manuel doesn’t sound like a man who’s ready to leave any time soon, and Sandberg hasn’t sounded like a man who’s willing to wait his turn in the minor leagues for too many years. But who knows, maybe in a year or two Sandberg will take the job as Charlie’s bench coach and really be groomed as the successor. Can Vick live up to the raised expectations? Like a lot of NFL teams, the Eagles hit the midway point of their season with a huge range of possibilities for where their season will end. At 5-3, they’d currently be in a 3-way tie for the 6th, and final, NFC playoff spot. But they’re also just a game behind the 6-2 teams that have the best record in the conference. It was hard to know what to make of this team coming into the season, and the unexpected back-and-forth between Vick and Kolb at quarterback, along with a litany of injuries at other positions, have only clouded the situation. So, what does this team need to accomplish for the season to be considered a “success?” And, in the bigger picture, how do we fans define success for our teams? For fans of some teams (mainly the Yankees), anything less than a championship is a failure. Every year. For most fans though, they have to find their own measure for each team, each season. For example, in my mind, the 2009 Phillies undoubtedly had a successful season. Considering how many teams win a title and then disappear from sight for ten years, the fact that they came back the next year and won the pennant, with a mediocre pitching staff, was really a great accomplishment. Yes, they were manhandled by the Yankees in the World Series, but that couldn’t take away from everything else they did, and the entertainment they provided us fans. 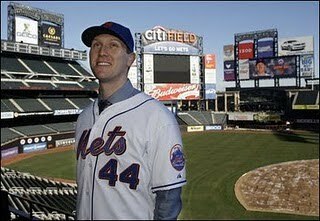 That 2009 season also served to keep the ‘ball rolling,’ in a sense, and helped them sellout every home game in 2010, and may have been a contributing factor in their willingness to take on a contract like Roy Oswalt’s at the trade deadline. The 2010 Phillie season, on the other hand, will go down as a failure. But wait, I hear someone saying, they had the best record in baseball for the first time in their 130 year history. And they won a playoff series! Doesn’t matter. Expectations for this team were, justifiably, sky high, and a loss in the NLCS put a big asterisk next to everything else the team accomplished. So, that brings us back to the Eagles. Coming into the season, I thought a playoff appearance would make it a success. They were handing the reins over to a 1st-year quarterback, had a questionable offensive line, and were starting two rookies on a defense that was underwhelming a year ago. Two factors have definitely changed that measure of success in this first half of the season. One, Michael Vick has taken the QB job and has been one of the best players in the league, when healthy. Two, the NFC may be as bad as its ever been, which is saying something when you think about how long the NFC has been the inferior conference. I don’t expect the Eagles to win the NFC, but I do think they have a decent shot at it. And so, at the midway point of the season, anything less than a trip to the Super Bowl in Dallas would be a failure. I don’t deny that just making the NFC Championship Game would be an impressive feat for this team, but Eagles fans have just seen too many losses in that game for it to ever really feel like success. How would you define success for this Eagle squad: a playoff appearance, a loss in the NFC Championship, a loss in the Super Bowl, or nothing less than a title?